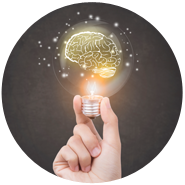 A selection of materials from DRI International is available here as an added benefit for DRI members. 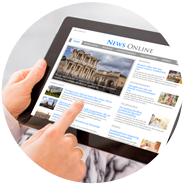 We hope you enjoy this informative collection of industry information and research. 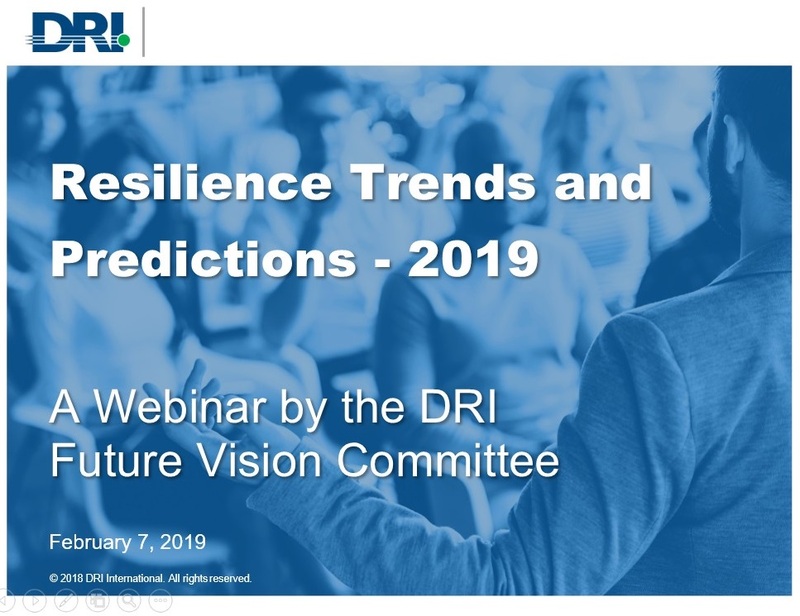 Join Future Vision Committee members Lyndon Bird, Richard Knowlton, and Patrick Alcantara, along with DRI President Chloe Demrovsky, for highlights from the Fourth Annual Global Risk and Resilience Trends and Predictions reports. Discover how your job will be impacted by world events - including sustainability, cyberthreats, and more - and what you can do about them. 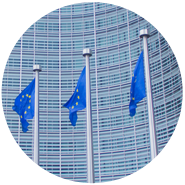 “GDPR: Considerations for Continuity Professionals" is DRI's first webinar designed for European audiences. 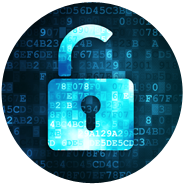 We will be discussing GDPR and its implications across business continuity. We will hear first from Lyndon Bird, DRI’s Chief Knowledge Officer, who will provide background on the regulation and its considerations. 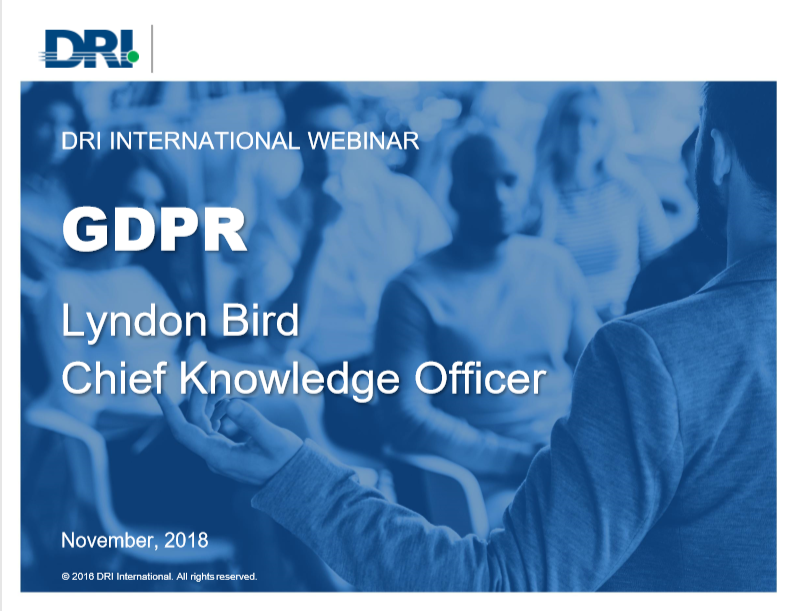 Lyndon will be joined by Ovidiu Diaconescu, who will be discussing cross-border data transfers, and Luuk Akkermans who will expand on the impact of GDPR on supplier contracts. Join cybersecurity expert Wade Richmond for an information-packed hour of important information on one of the profession’s hottest topics. 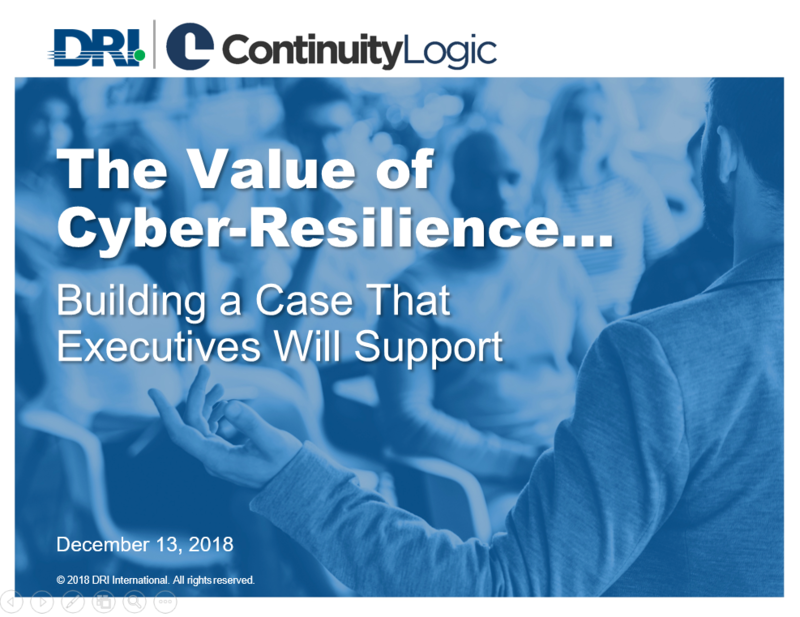 Explore aspects of cybersecurity and business continuity, with the goal of integrating the two and achieving the ultimate goal -- cyber resilience. Learn how to talk to top management about these issues and sell them on the concept of cyber resilience. During DRI2018’s WBCM panel discussion, nearly 50% of session attendees responded that the stereotype they were most concerned with was being labeled as “too aggressive,” particularly when disagreeing with others’ views. Please join us as we take that conversation further with Betsy Sayers, MBCP, ITIL, ICS – IT/DR. With more than 25 years of industry experience, including serving as a DRI Instructor, Betsy shares her views on the best tools to communicate clearly — and with objectivity – while maintaining a style that honors who you are and what you believe. 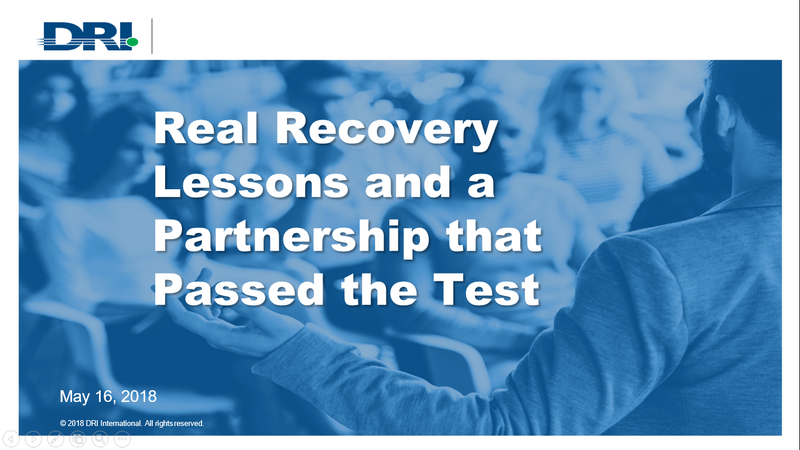 Special thanks to our webinar sponsor OnSolve. 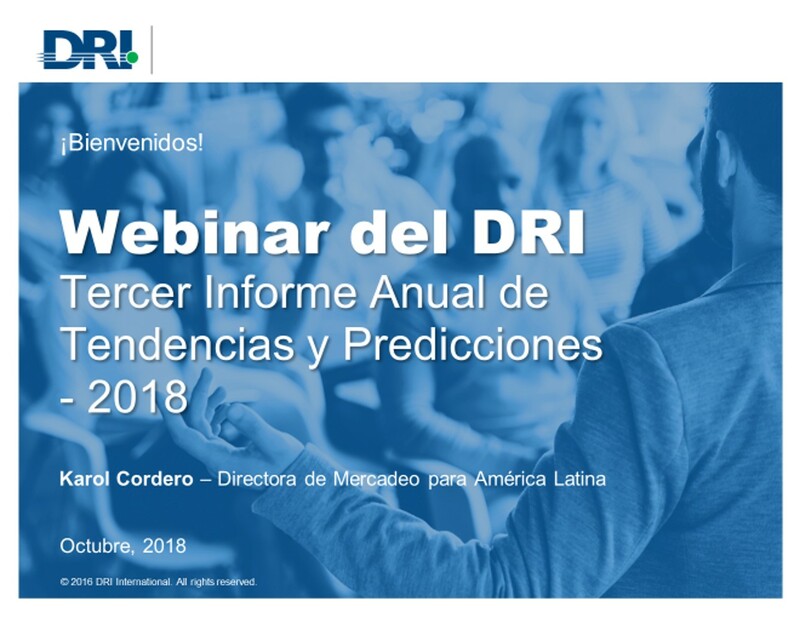 El DRI se complace en anunciar el webinar en español del 2018. Buscamos entregar beneficios a nuestros profesionales certificados y a la comunidad del DRI en general, por lo que no solamente brindamos webinars en inglés, sino que ahora también los traemos en el idioma español. 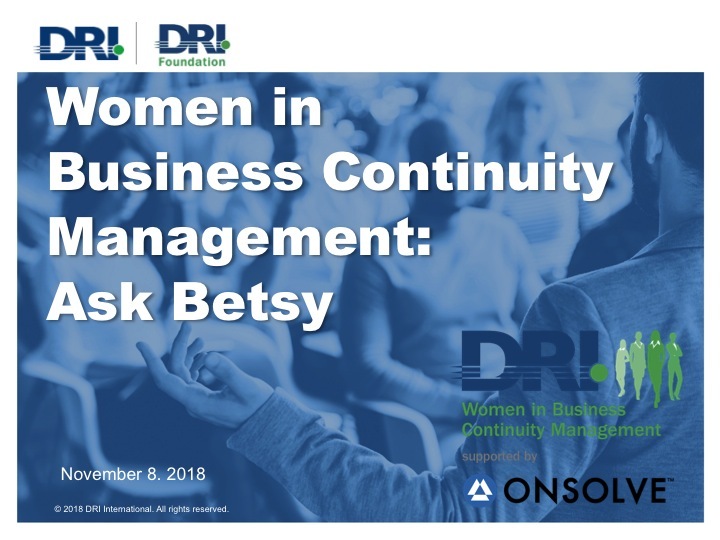 Anota en tu calendario este 12 de Octubre de 2018 en el horario 9:00 a.m. – 10:00 a.m. CDT, el siguiente webinar educacional del DRI: Tendencias y Predicciones en Continuidad de Negocio Chloe Demrovsky, Presidente y Directora Ejecutiva del DRI Internacional y Karol Cordero, Directora de Mercadeo para América Latina del DRI, serán las presentadoras del Webinar. 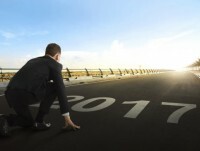 Con base en los eventos y resultados del 2017, el Comité de Visión Futuro del DRI Internacional ha elaborado el tercer informe anual de tendencias y predicciones para la profesión de Continuidad de Negocio y Resiliencia. En este webinar presentaremos los resultados de este informe, mirando hacia atrás en lo que ha ocurrido y viendo lo que podría estar a la vuelta de la esquina para nuestra profesión. ¡No te pierdas este webinar gratuito totalmente en español! 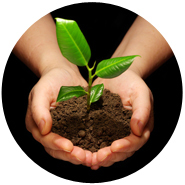 Organizations are becoming more proactive in assessing their programs and doing so in a more robust manner. 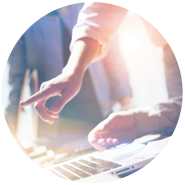 This not only leads to them being more resilient but also reduces the effort associated with simply preparing for an audit. 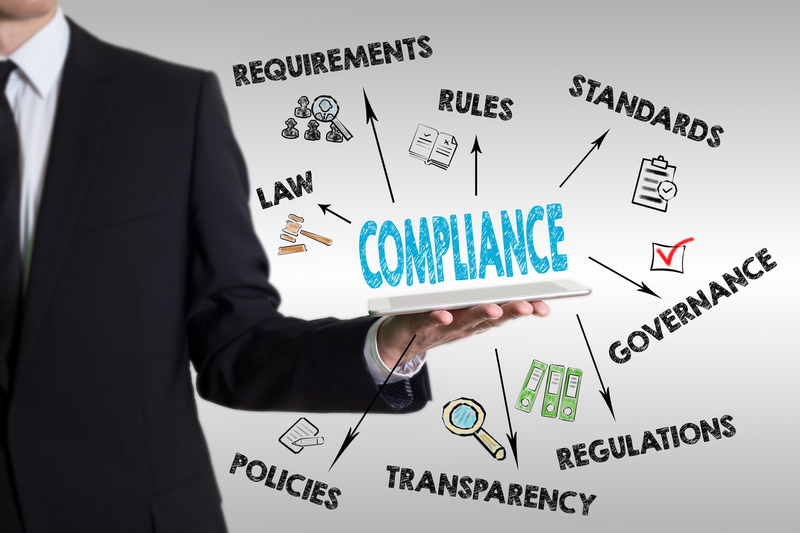 This webinar will examine how organizations are addressing regulatory compliance, which regulations they face, and how a pre-assessment program will help them be more resilient and improve their compliance. 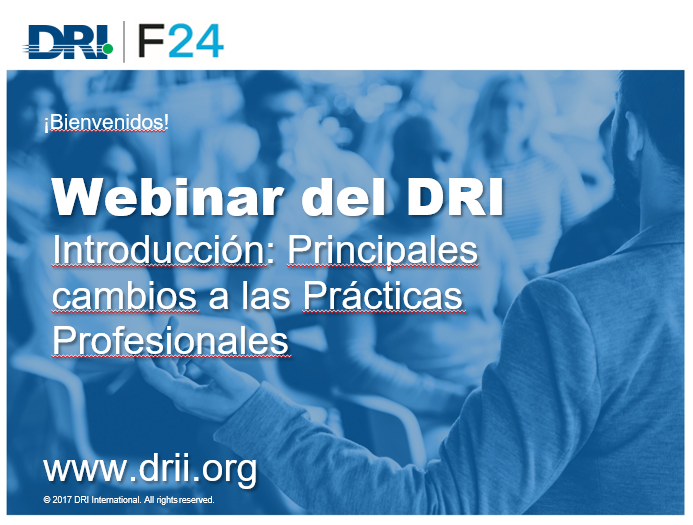 In DRI's first Spanish-language webinar, Mariana Quirós of Copa Airlines talks about the changes to the new Professional Practices. 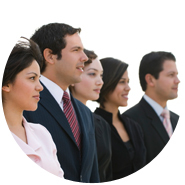 She also guides viewers through implementing the practices within their organization. 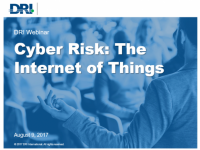 This webinar presentation tackles the much-requested subject of cybersecurity and the Internet of Things (IoT)! We all know that the risk is real – everyday objects are increasingly able to send and receive data. But do you know what compromised “smart” devices – like baby monitors or printers – could mean for your organization? Hear from both cybersecurity and business continuity executives as they discuss IoT from a corporate perspective and share their perspectives on this timely and compelling topic. The FBI’s Felipe Den-Brok addresses the timely topic of active shooters and mass casualty response from a crisis management perspective. 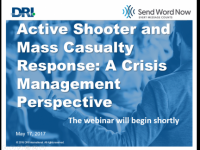 With decades of experience to speak from, Den-Brok — who is a Supervisory Special Agent in the Crisis Management Unit — brings his experiences and actual case studies — including Virginia Tech, Fort Hood, and Sandy Hook — to the resilience profession in this compelling webinar. He’ll also discuss potential warning signs to look out for and developing a survival mindset in the midst of an active shooter event. 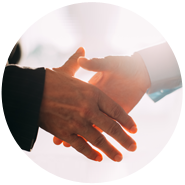 With the advent of globalization, outsourcing, enhanced connectivity, and higher reliance on suppliers, supply chain disruptions have become more prevalent in the recent years. 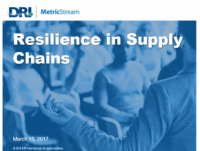 In this webinar, we will explore conceptual and practical developments on supply chain risk, supply chain resilience, and the application of business continuity beyond organizational boundaries. 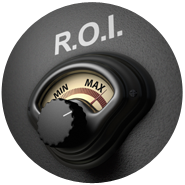 This webinar was sponsored by Metric Stream. Lyndon Bird, Chairman of DRI International’s Future Vision Committee, discusses the findings of two recent reports (also available in the Resource Library): Trends in 2016 and Predictions for 2017. Discover how your job will be impacted by world events – including cyber threats, supply chain, and the environment – and what you can do about them. 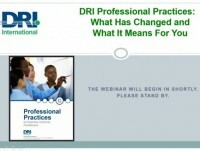 DRI's Professional Practices, the most used standard in the world and the heart of DRI's teachings, have been revised. 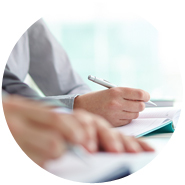 During this hour-long webinar you'll hear about the revision process and the outcome, while learning what has changed and why. 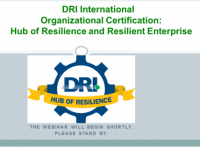 Long the leader in certifying individuals, DRI International now offers accreditation for organizations with the Hub of Resilience and Resilient Enterprise designations, as well as assessment of organizational resilience with the Resilient Enterprise Assessment Process (REAP). 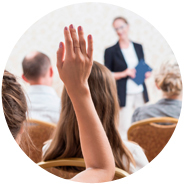 You’ll hear from organizations that have earned these designations, learn what makes them truly resilient, and find out how they’re spreading education and leadership within their communities and industries. 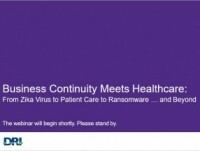 Faced with regulatory requirements, increasingly-complex technology, ransomware attacks, and now the Zika virus, continuity professionals in healthcare have their hands full. Hear from them about those challenges and more.